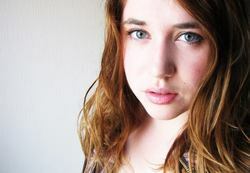 Ashley Serena is a Japanese-speaking singer-songwriter from Utah. She began composing at age 7, when she found that figuring out how to read notes took far too much work, and songs could be created just by tuning-in to the music playing in her heart. Still today, she struggles with music theory (fails at it, really), and prefers to compose purely by ear, no sheet music allowed.